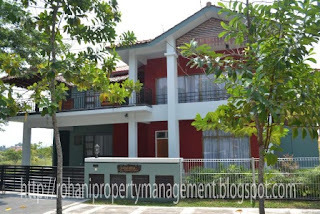 •	Roof Terrace with "Pondok"
The house is a big modern two storey bungalow and comes fully furnished to a high spec. 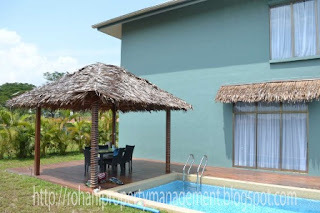 The house has a modern "kampung" (village) feel to it and comes equipped with a swimming pool and ADT alarm system. It is located in Ledang Heights, which is a gated community. The precinct contains only bungalows built by individual design. There is a club house (membership required) near by with facilities like gym, cafe, restaurant, communal swimming pool etc. Other facilities include a neighbourhood shopping centre, several restaurants etc. The house is located in Ledang Heights, Nusajaya, Johor. Nusajaya is a brand new city which is currently being built in the ISKANDAR region of JOHOR, south Malaysia, at the border to SINGAPORE - in fact the so called '2nd link' (the second bridge from Malaysia to Singapore) is only 5-15min away, depending where you are within Nusajaya. Nusajaya has several highlights which are being built at the moment and which complete later this year or within the next few years such as LEGOLAND, Newcastle University Medical School, Marlborough College, Pinewood Studios Iskandar Malaysia (Studios involved in making movies like James Bond, Harry Porter, Batman Begin), Traders Hotel. 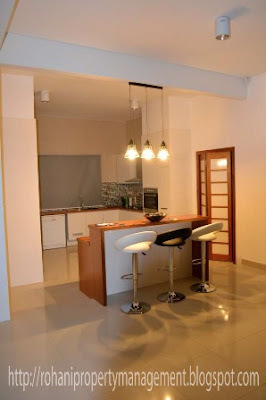 Monthly Rental : RM15,000. Interested, please contact me at 016-734 7120 for more info.